Whom does Mitt Romney resemble more — a Pixar character, or an underwear model? Jon Stewart stopped by "The Late Show" Wednesday to talk about Mitt Romney. Mitt Romney might wear jeans at his campaign rallies, but what's he really wearing underneath? 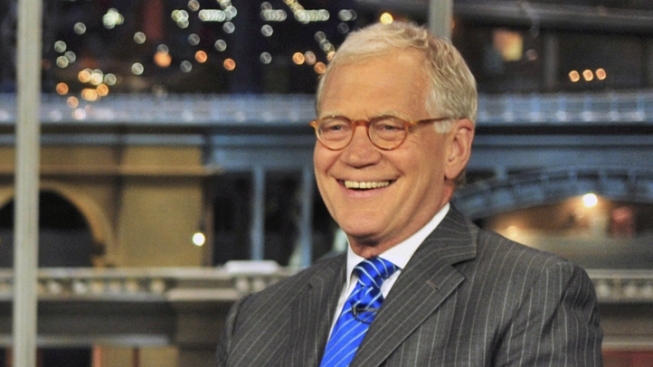 David Letterman and his late-night colleague — and Wednesday night "Late Show" guest — Jon Stewart have some ideas. Stewart mused on what he thinks is one of Romney's big problems in locking down GOP votes: his perceived inauthenticity. "If you were to design something to be a president, that's what you would make it look like," Stewart said — but Romney's "like pixels. I think if you look at him closely, it's zeroes and ones." "He puts on jeans, but you know he's got his suit pants underneath it." Click the clip below from some of the highlights from Jon Stewart's visit to "The Late Show" — and his foot-in-mouth moment that accidentally made reference to the revelation a few years back over Letterman's affairs with staffers.